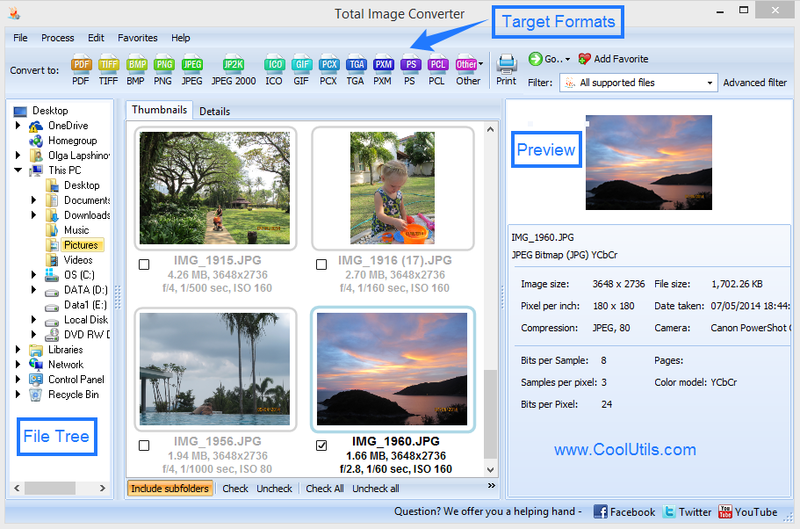 You are here: CoolUtils > Total Image Converter > Convert PSD to ICO in batch error-free. 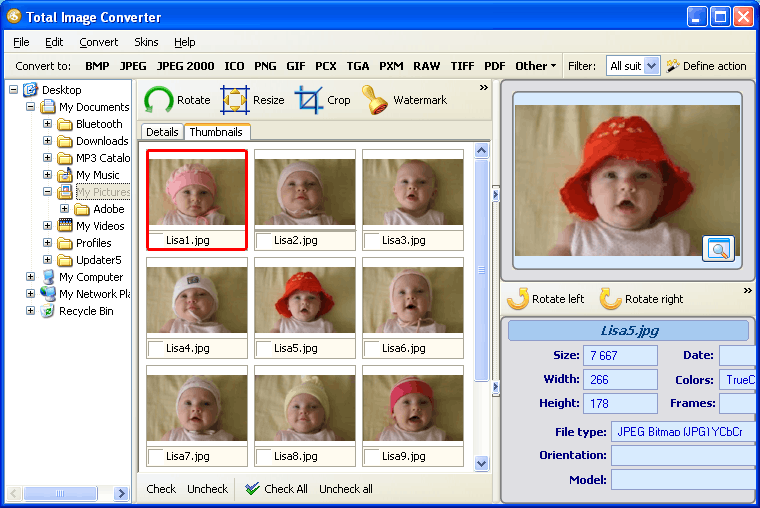 This PSD converter has several advanced options and functions, which few other converters have. Particularly, batch function allows you to set the program to convert hundreds of files in one go. What you can do is simply load five hundred PSD images and launch conversion. This is as easy to do as convert one PSD file to ICO. 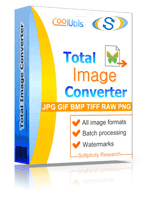 For this reason, Total Image Converter is often referred to as ‘batch image converter’. If you have installed the program on your PC, click on the icon on the desktop and navigate the file tree. Find the folder with PSD files and view the list. Check the files, which you want to convert to ICO. 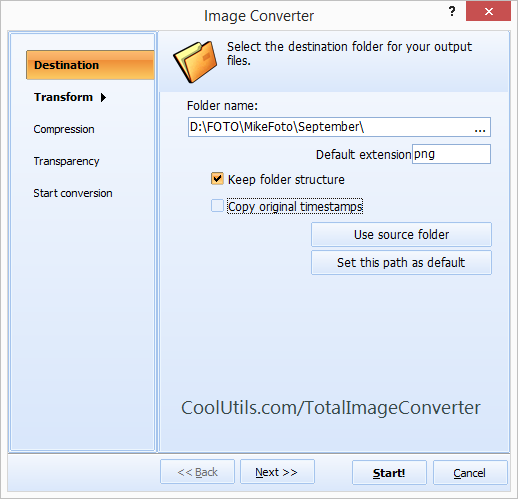 If you are converting one of a couple of files, check them separately. To batch-convert, press 'Check All button'. The program will tick all the images the folder contains. If you click on one of the images, its larger version will be shown in the viewer’s window. Here you can rotate it and view its characteristics. Rotate, resize, crop and watermark buttons are found above the image list. Select ICO - your target format – at the top of the interface or use Convert menu. If you think you have set the quality you are after, it’s time to click 'Start' and launch conversion.